A trio of accomplished students were awarded UC Santa Barbara Department of Chemical Engineering Graduate Division Fellowships, Jacob Monroe, Graduate Opportunity Fellowship, and David Smith and Mengwen Zhang, Graduate Division Dissertation Fellowships. Monroe, Shell Lab, is proud of the honor that he sees as both a reaffirmation for his efforts in community research and mentorship, as his research. 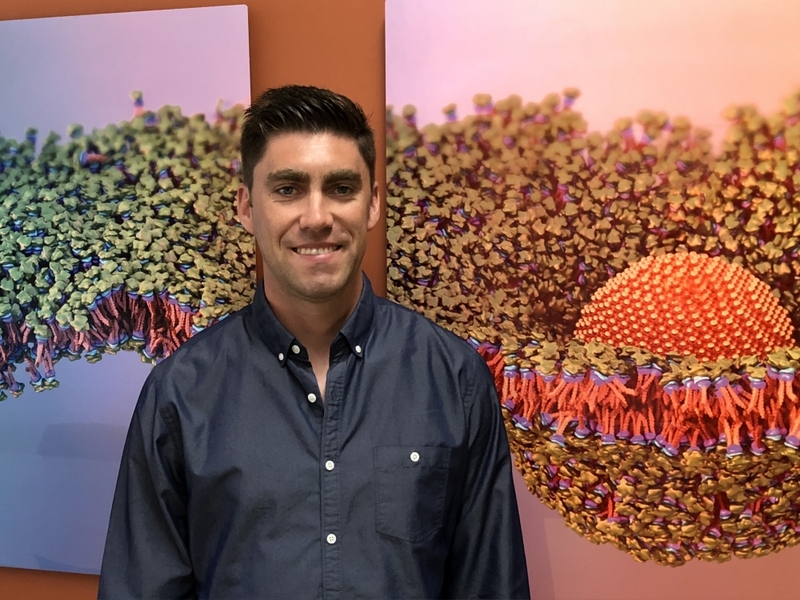 Smith, of the Shell, Leal and Mitragotri Labs, is appreciative of the opportunities to expand his research while working towards finalizing his dissertation that is focused on the fundamental approach to understanding the physical interactions of nanoparticles with model cellular membranes. For Zhang, of the Helgeson and Mitragotri Labs, the fellowship helps to focus on preparing her dissertation and defense. Monroe finds the research that is most exciting to him right now involves mapping out how different arrangements of chemical groups on solid surfaces affects both the dynamic and thermodynamic properties of nearby water. 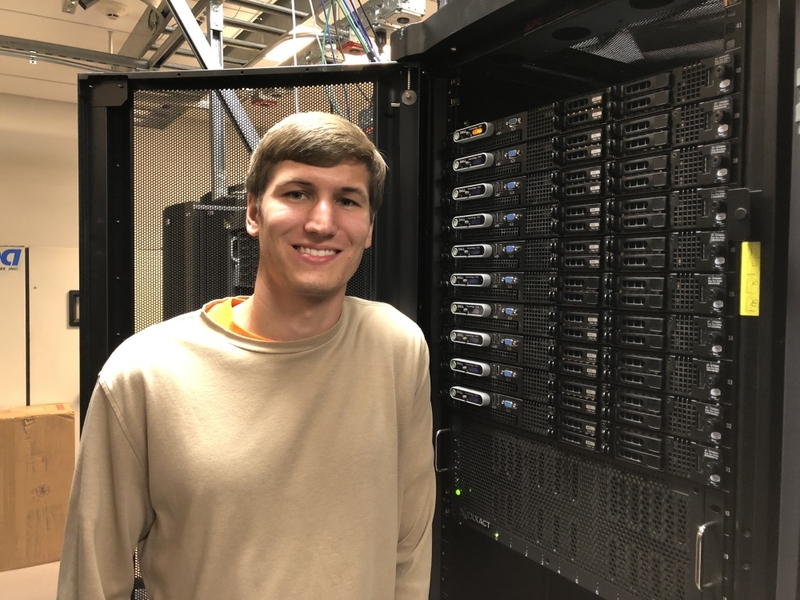 Smith has gained a broader focus and perspective in respect to his research, while working with faculty advisors, Professors Scott Shell, Gary Leal and Samir Mitragotri. “A closer physical picture is needed for particles, particularly on the 1 to 10 nanometer scale where the nanoparticle diameter is comparable to the membrane thickness,” Smith shared. Smith emphasized the most challenging aspect of this work has been selling the importance of a molecularscale, simulation-based approach to the rapidly growing, yet predominantly experimental, fields of nano-pharmacology and –toxicology. “Our research group has discovered a new mechanism of interaction where hydrophobic, rough, crystalline nanoparticles of a critical size asymmetrically, locally punch a hole in one side of the membrane, and nonlocally induce large-scale membrane curvature – Eventually jumping across the membrane to the other side,” Smith said. The development of multicomponent nanoemulsions is the focus for Zhang, researching multi-phase droplets consisting of one liquid phase dispersed in one or more other liquid phases, that can be used for colloidal synthesis for potential applications in pharmaceuticals, foods, and consumer products. “These multiphasic platforms allow co-encapsulation of various molecules and at the same time, their nanoscale sizes give rise to unique properties,” she shared. Scale is the greatest challenge for Zhang in her work, as its not instantly decipherable what’s been made, but it also provides for a level of interest and exploration. 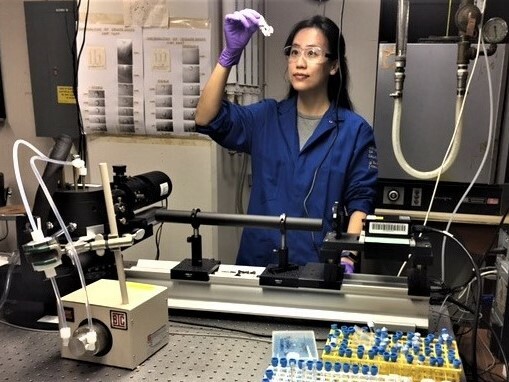 “It always gives you the chance to learn many interesting and cutting-edge techniques – such as, cryogenic-TEM, and small-angle neutron scattering – to extract useful information from the samples,” Zhang said. Monroe’s recommendation to incoming graduate students is to not only work hard, but also to set aside time for activities outside of research in order to let good ideas flourish and grow. Smith’s advice to incoming Chemical Engineering graduate students is to stay balanced, focused, patient, and resilient. Zhang suggests that future students do not treat the research as a process seeking perfection.